The Wireflow 3D lamps are a system of hanging lamp fittings designed by Arik Levy. The Wireflow 3D lamp is a reinterpretation and reinvention of the classic chandelier fitting. 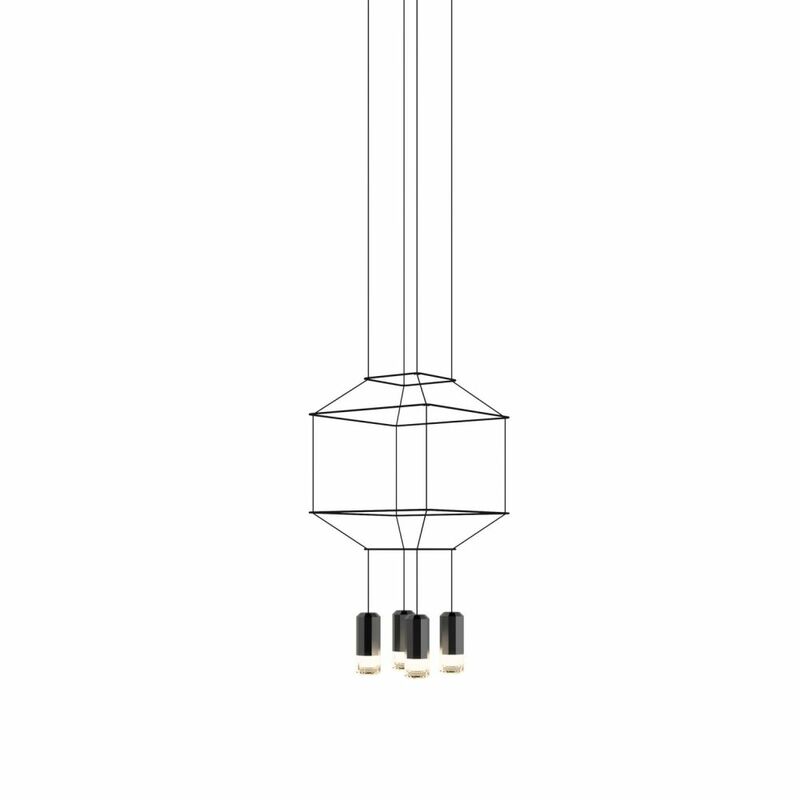 The supporting structure for the Wireflow 3D light fitting is constructed using black electrical cable and 4.5 Watt LED light sources, the lamp is characterised by these very materials which define the collection. The Wireflow collection electrical cables trace three dimensional geometries which despite their large size create a sense of transparency that defines the captivating graphic feel of this lamp fitting. The Wireflow 3D lamp by Vibia is available in 4, 6 and 8Â diffuserÂ versions.